This photo from Niko J. Kallianiotis’ book “America in a Trance” will be among the images featured in an exhibit in The University of Scranton’s Hope Horn Gallery, which is on display now through Nov. 16. 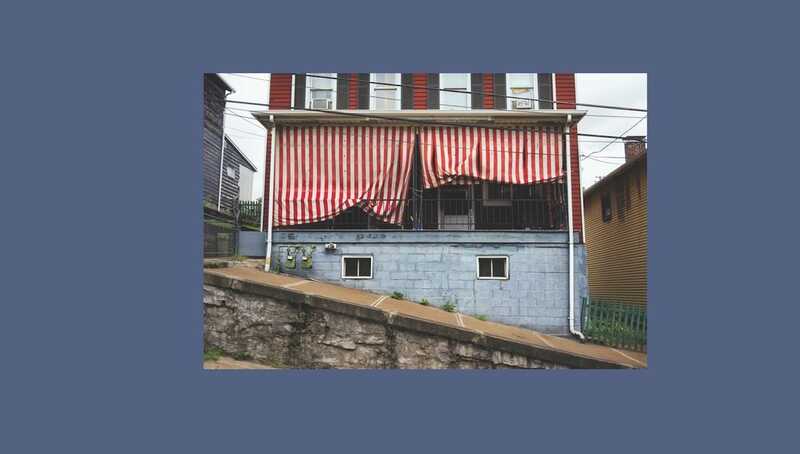 The University of Scranton’s Hope Horn Gallery will feature the work of photographer Niko J. Kallianiotis in the exhibit “America in a Trance,” which explores American values and hope in post-industrial regions of Pennsylvania. The exhibit runs through Friday, Nov. 16. A panel discussion about the exhibit with Kallianiotis and two essayists will be held on Friday, Nov 2, in the Pearn Auditorium in Brennan Hall at 5 p.m. The discussion, which will be followed by a reception in the Hope Horn Gallery on the 4th floor of Hyland Hall, is part of Scranton’s First Friday events. Both the exhibit and lecture are free and open to the public. Kallianiotis, who is teaching a photography course at the University during the fall semester, will be joined by essayists Luke Wynne and Seamus McGraw for the November panel discussion. The photography collection attempts to capture American values and struggles in regions of Pennsylvania facing economic and industrial decline. Darlene Miller-Lanning, Ph.D., director of the Hope Horn Gallery, said the exhibit explores “scenes of communities where economies have shifted, maybe where a factory has moved out, and what comes after that shift.” The photographs have no titles, and each acts as a study of Pennsylvania and of America as a whole. Although the collection focuses on economic decline, the prevailing emotion in the collection is hope. In many photographs, the American flag is celebrated while other shots suggest the flag in the scene’s colors. Small town-values captured in the shots reflect on how American values survive in a changing economy. Regular Gallery hours are: Sunday through Friday, noon to 4 p.m. and Wednesdays, 6 p.m. to 8 p.m.
For more information on Kallianiotis’s work, visit www.nikokallianiotis.com. Copies of Kallianiotis’ book “America in a Trance” are also available online. For more information about the gallery exhibit and discussion, contact Dr. Miller-Lanning at 570-941-4214 or darlene.miller-lanning@scranton.edu, or visit the Hope Horn Gallery website at scranton.edu/gallery.